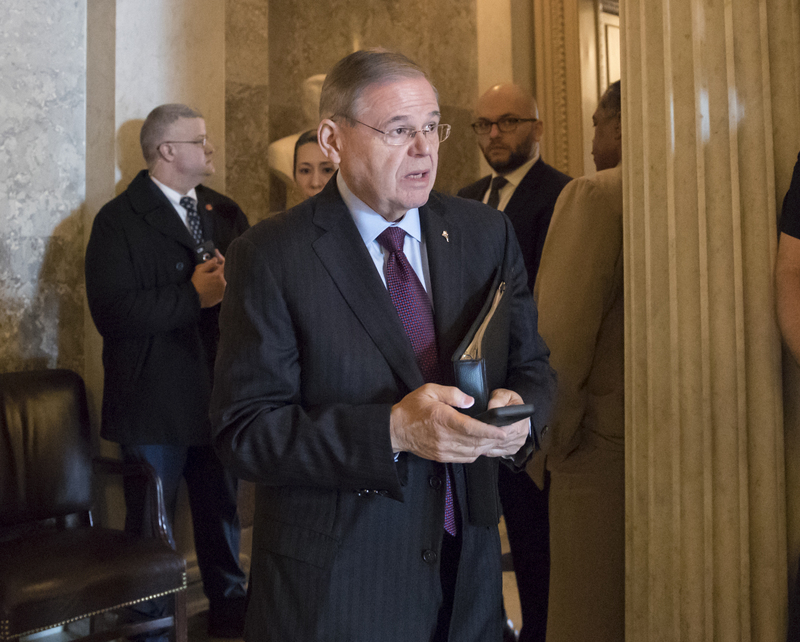 TRENTON, N.J. (CN) – Sen. Robert Menendez cruised to a relatively easy victory as the New Jersey Democratic nominee in this fall’s Senate race. As of 10 p.m. EST, the incumbent Menendez received more than double the number of votes in the primary as McCormick. The race between Menendez and newspaper publisher Lisa McCormick likely was closer than it might have been had Menendez not faced charges of bribery. Menendez escaped a much harsher fate than losing the primary when the jury hearing his bribery case deadlocked last November. Prosecutors decided not to retry him months later in early 2018. However, the ethics cloud has remained over Menendez, who has faced dropping approval rates and an official admonishment from the U.S. Senate Ethics Committee in April. The charges involved Menendez’s long-time friend Salomon Melgen, who lavished the senator with expensive gifts and trips allegedly in exchange for his help on Medicaid billing issues. Menendez obtained 60 percent of the vote. The Republican spot meanwhile went easily to former Celgene Corp. executive Bob Hugin, who beat out Brian Goldberg with more than three-quarters of the vote. Most of the House seats in New Jersey fell the way experts predicted. In the 11th district, Mikie Sherrill easily beat off last-minute challenges by political novice Tamara Harris and Mark Washburne, lapping her competitors. Sherrill in November will face Jay Webber, a six-term New Jersey assemblyman who beat out Peter De Neufville. The district had been represented for more than two decades by Republican Rodney Frelinghuysen. However, Frelinghuysen -who had chaired the influential House Appropriations Committee- decided earlier this year to not seek re-election. Frelinghuysen, who comes from a well-known wealthy family in New Jersey, came under attack last year when he wrote a letter to Lakeland Bank identifying one of the senior vice presidents as “one of the ringleaders” of an activist group opposed to him. The congressman faced no punishment for the letter, but its interpretation as an overt threat left its mark on his reputation. Sherrill, a former Navy pilot, had made some headlines earlier this year after raising nearly $3 million and saying President Donald Trump’s attacks on women and minorities inspired her to run. Another seat up for grabs is the 2nd District, from which another longtime Republican, Rep. Frank LoBiondo, is retiring. The seat was heavily targeted by the Democrats, who were looking to flip the district by tapping the conservative, pro-gun Jeff Van Drew. Van Drew, a New Jersey state senator for a decade, won with more than double the number of votes as his nearest rival. Both LoBiondo and Frelinghuysen won their last election by double-digits in districts carried by President Trump. However, lukewarm support from Republican Party leaders for their potential successors have some thinking Democrats could win one or both seats. Former Obama Administration official Tom Malinowski also easily won the primary in District 7, and will face off in November against Republican incumbent Leonard Lance, who faced little opposition from others in his party. Lance has been seen as vulnerable, despite his status as a moderate. Republicans in the 5th District, which was traditionally a GOP stronghold, are also looking to flip seats. John McCann inched out Steve Lonegan by just over 1,000 votes, and will face Democrat Josh Gottenheimer, who ran opposed. Despite relatively low turnout in the New Jersey primaries and a shrinking lead in national polls against Republicans, Democrats in the state are relatively confident. An April poll conducted by Monmouth University found that Democrats in the state have a distinct nearly 20-point advantage over Republicans, who may have suffered a dip due to backlash against President Trump in the blue state.